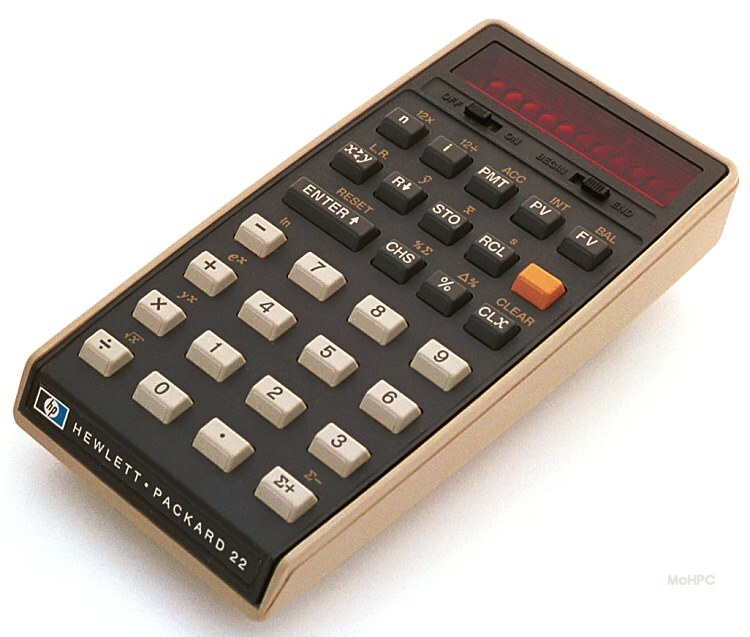 The HP-22 was the first business member of the 20 series. It was originally intended to be an HP-70 plus but grew beyond its original design goals to include a large array of additional functions. In some ways, the HP-22 exceeded the capabilities of the HP-80. 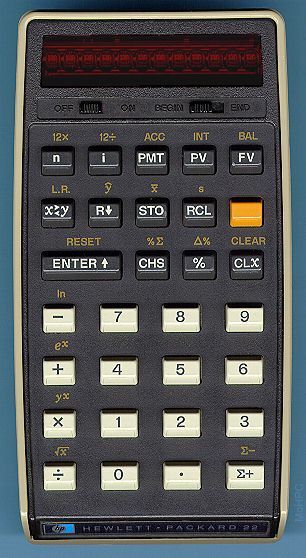 Additions beyond the HP-70 included the ability to compute accumulated interest, remaining balance, square root, LN, e^x, linear regression, linear estimate, arithmetic mean, and standard deviation. The HP-22 also had more storage registers than either of its predecessors. In addition, to the financial registers, the scratch pad (STO/RCL) registers were expanded from 1 to 10.